Aabar investments (Abu Dhabi), withdrew its 40% investment in Mercedes in order to buy into the Scuderia Toro Rosso team. But Aabar investments continue to back Scuderia Toro Rosso, Red Bull’s sister Formula One team, through its Spanish oil brand Cepsa. Germany’s Sport Auto reports that Aabar has now bought part of the Faenza based squad. “The percentage of the stake is between 49 to 61 per cent,” the magazine quoted. 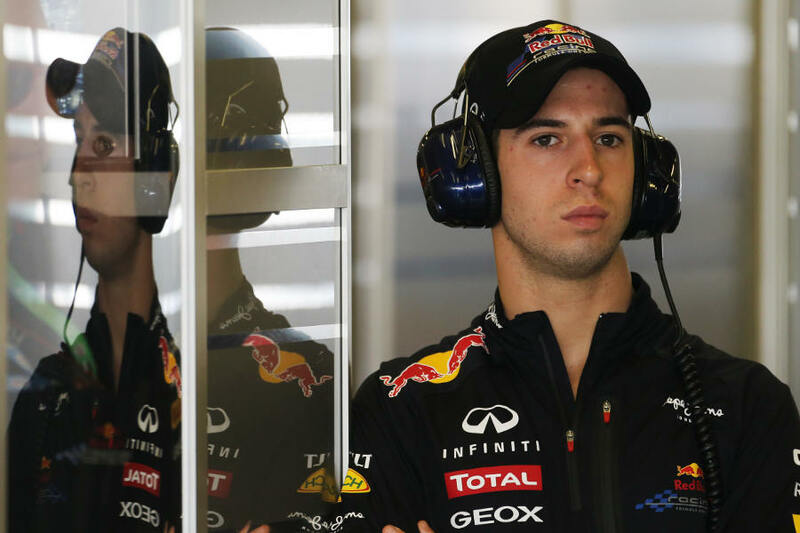 Scuderia Toro Rosso is yet to comment, but are expected to do so within the next two weeks. 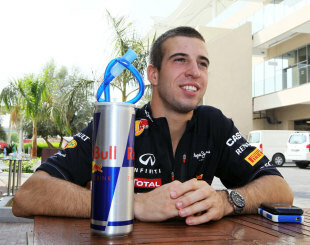 Antonio Felix da Costa recorded the fastest time on the second day of the Young Driver Test in Abu Dhabi. His time was two hundredths of a second slower than yesterday’s fastest time, set by Kevin Magnussen. Oliver Turvey finished just under half a second behind him in his McLaren with Edoardo Mortara, who had taken over from Nicolas Prost at Lotus, and Sauber reserve driver Esteban Gutierrez finishing in third and fourth. Gary Paffett, who took out the McLaren in the morning before passing it to Turvey, was fifth fastest ahead of Johnny Cecotto Jr in the Toro Rosso and Giedo van der Garde in the Caterham. Kevin Magnussen lead the way for McLaren on opening day of Abu Dhabi young driver test. Kevin Magnussen and McLaren have topped the timesheets on the first of three days for Young Driver testing in Abu Dhabi. The son of former Grand Prix driver Jan led the way from the Red Bull of António Félix da Costa and Gary Paffett. As is always the case with testing, not least this week as the six teams present are experimenting with various fuel loads and new components ahead of America and Brazil, it is somewhat impossible to read into the lap times. However Magnussen was pleased to hold the bragging rights as his morning time of 1:42.651s led the way. Following a short break, the Dane – who turned 20 just one month ago – handed the car over to Gary Paffett. Further down the pit lane, Caterham ran reserve driver Giedo van der Garde as GP2 runner-up Luiz Razia starred with Toro Rosso. Lotus and Sauber were the only other two teams present, as some had already tested at Silverstone and Magny-Cours earlier in the season. The Swiss outfit worked with Dutchman Robin Frijns, Formula Renault 3.5 Champion who is also testing with Red Bull this week as a reward for picking up that title. Unlike with the Abu Dhabi Grand Prix last weekend, this week’s testing takes place in full daylight conditions for eight hours per day. Kevin Magnussen set the fastest time of the morning on the opening day of the Young Driver Test in Abu Dhabi. Driving for McLaren for the morning session, Magnussen was the busiest driver as he completed 40 laps with a best time of 1:42.651s. He edged out Antonio Felix da Costa by just 0.066s and will now hand over the McLaren to Gary Paffett for the afternoon session. 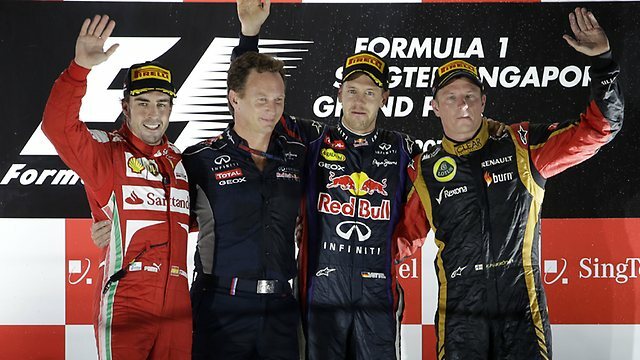 Magnussen and da Costa’s Red Bull were well clear of the rest, with Nicolas Prost third for Lotus with a 1:45.318s. Lotus is expected to test its rear wing device that it has yet to race at some point this week, but it did not make an appearance this morning. Sauber appeared to be testing a similar rear wing device to the Lotus solution, with Robin Frijns setting the fourth quickest time having spent the first hour and a half completing installation laps. Luiz Razia was fifth for Toro Rosso in a 1:46.793, while Geido van der Garde was slowest having spent the morning running aero tests, with a transition vortex rake on the left side of the car to look at airflow from the front wing.